Weddings are expensive no matter which way you cut it. 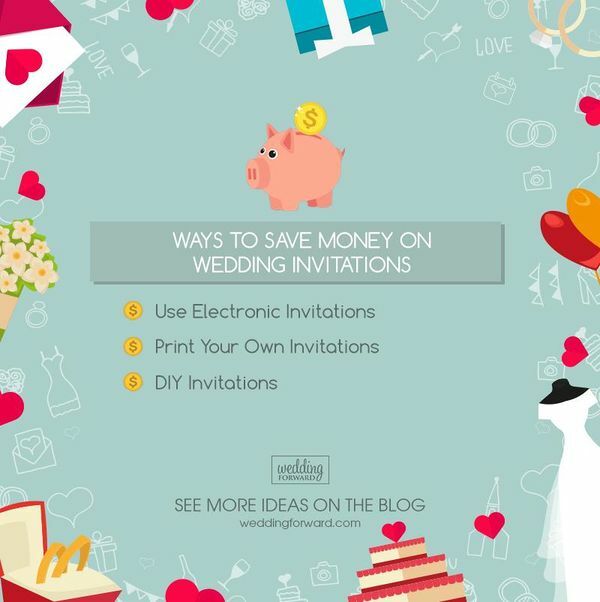 While planning your wedding, its important to look for easy ways to save some money and the mailing of your wedding invitations is a great place to start. 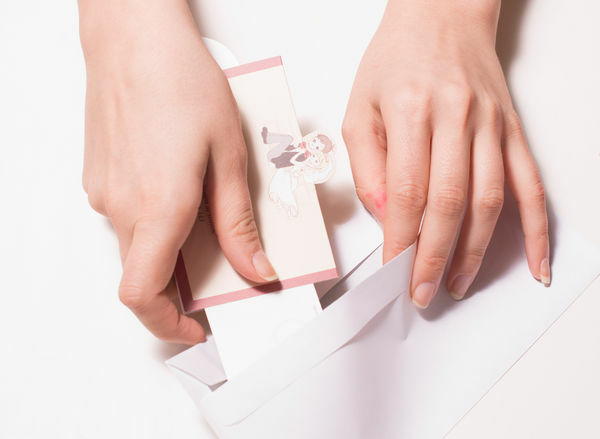 Consider these steps to save on postage for your wedding invitations. The heavier your wedding invitation is, the more it will cost to send. Be careful about your choice of paper as well as the number of inserts you include. 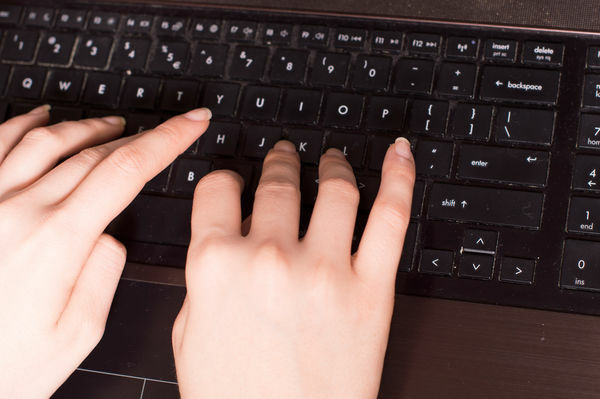 Consider combining some of the information you need to include onto fewer sheets of paper rather than giving each insert its own piece of paper. For example, you could include a map to the reception on the back of the hotel information. Ideally you should keep your wedding invitation mailing at less than 3.5 ounces. 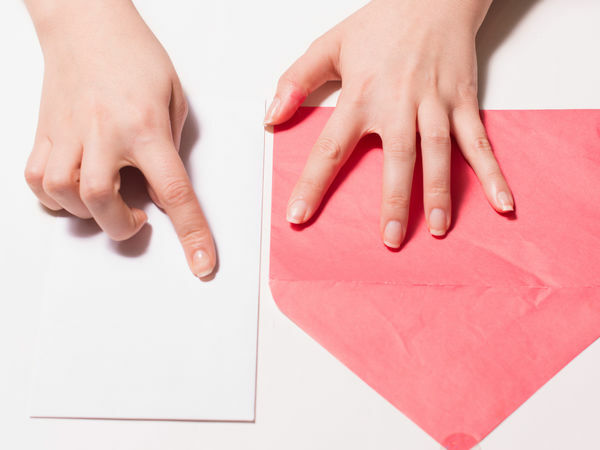 Oversized and irregular shaped envelopes also cost more to mail. 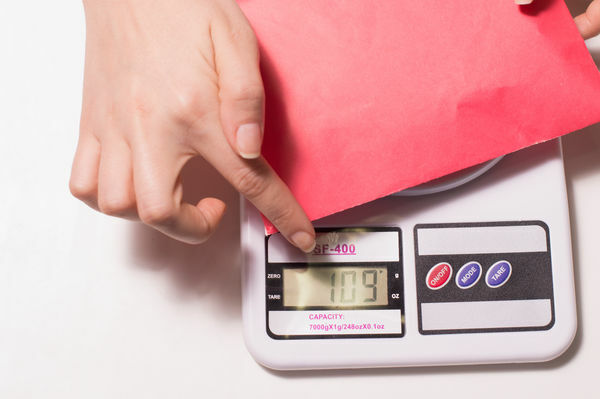 A regular envelope is considered between 3.5 (8.89 cm) and 6 inches (15.24 cm) high and between 5 (12.7 cm) and 11.5 inches (29.21 cm) long. It also can't be more than 0.25 inches (.635 cm) thick. You will also want to be careful of including any bulky embellishments, such as bows and monograms that cause the thickness of the invitation envelope to increase. 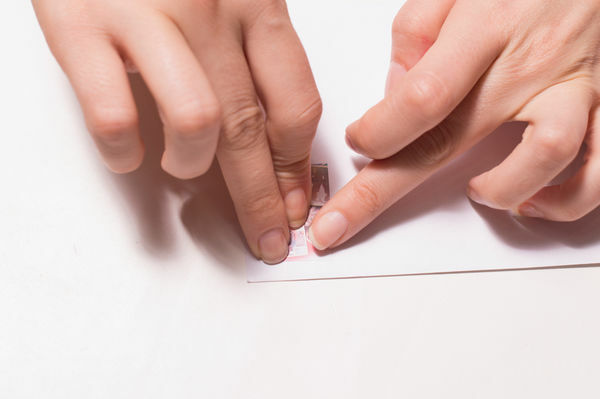 Rather than including an RSVP card, use a postcard. It is good manners to include the postage on the RSVP that you want the guest to return, so don't forget to budget that postage in as well. A postcard is approximately half of what card postage is. You can still include the same information, but use less paper. Forever stamps are released by the United States Postal Service prior to the rise in postage rates. They are issued at the current rate and can be used "forever," even after the increase. Stocking up on these stamps prior to the increase can save you a lot of money on your wedding mailings. The Forever stamps come in few designs. Although the designated wedding stamps are pretty hearts and flowers, they aren't going to save you money on your wedding invitations. Wedding traditions are changing with the times, so feel free to do whatever works the best for you. RSVP web sites are a new way for your guests to respond to your wedding invitation, which keeps your invite "green" and inexpensive. You can also include the hotel information, maps, rehearsal dinner information and any other pertinent wedding information that will save you from having to include on paper in the wedding invitation packet. Go 100 percent green and send out your wedding invitation on line. While this is far from traditional, some couples may be comfortable with doing away with the traditional wedding invitation. This will save you tons of money on the invitations to your wedding and will be kind to the environment at the same time. If you have friends who love to design or draw, sweet talk them into helping you make some invites. If people with such talents are absent in your life, there are wedding invitation templates to the rescue. Etsy is a very huge place to find some of the most beautiful templates. Pay, then download a template that matches your wedding theme/colors and print away in the comfort of your home. This will save you so much money, enough to cater to other pressing needs. DIY invitations are the way to go, one which will have very willing volunteers. It will also save you so much money as against professionally produced invites. You will need to buy materials and that should cost about 15% of total professionally made invites budget. Go on Pinterest where there is a parade of beautiful designs, make a pick and work with ones that best suit. Same goes for appreciation cards. Buy or make low budget minimalist thank-you cards.